There is an interesting end-piece to the story of the Barbary Corsairs which involved Thomas Fowell Buxton. After the emancipation of the slaves in the West Indies, Buxton was seeking funds to establish a school in Jamaica. He became aware of a fund called the Lady Mico Trust which was dormant. The Mico fund was established by Sir Samuel Mico, born in Weymouth, who had made his fortune in India. On his death in 1666, he bequeathed most of his estate to his widow and to his nephew, Samuel, but he left the George Tavern and a sum of £500 to the town of Weymouth for the preaching of an annual sermon in the parish church, for the binding out of three poor children apprentices and for the relief of ten poor decayed seamen of the town, aged 60 and upwards. Lady Mico in her turn with her share of Samuel’s estate, established her own trust. In her will Lady Mico left a sum of £1000 for the redemption of Christian slaves in Barbary, a problem which her husband, as a member of the Court of Levant Company, would have been very familiar. This money was invested in the purchase of a wharf and and premises at Castle Baynard, but with the exception of one payment in the 1730s, the income was never used, and by 1830 a sum of over £100,000 had accumulated. In 1835 it was diverted by those concerned with the emancipation of slaves in the British West Indies to the education of freed slaves. A prime mover in this matter was Sir Thomas Fowell Buxton, a great grandson of Charles Buxton, Master of the Mercers’ Company in 1768, although not himself a Mercer. The fund was used to set up elementary schools throughout the British West Indies and to found a teachers’ training college at Kingstone, Jamaica. The Schools were soon afterwards handed over to various religious societies, who also maintained schools in the islands, but MicoCollege, Kingstone, remained the responsibility of the Mico Trustees and is now the second largest teachers’ training college in Jamaica. The Buxton family have been represented on the Board of Trustees of the College since its inception. This entry was posted in Current Events, History on July 26, 2014 by tfb_admin. Britons never shall be slaves? In the sixteenth and seventeenth centuries this was a pious hope. For over 200 years, the Corsairs of the Barbary Coast (Algiers, Tunis, Libya today) roved around the Mediterranean and into the Atlantic Ocean capturing ships and raiding ashore for one main purpose – to take slaves. The Corsairs were originally from north Africa and other lands subject to the Ottoman Sultan in Constantinople. However, soon these were augmented by renegade Europeans who “Turning Turk” and joined in the slave hunts to make their fortune. They captured European ships which were more suited to ocean voyaging rather than the coastal craft originally used by the Corsairs. The extent of these voyages is quite remarkable. The Corsairs even got as far as Iceland and surprised the inhabitants of the Island of Heimaey and took 400 Icelanders to be sold in the slave market of Algiers. One of the most notorious instances was in 20 June 1631 when the slavers came ashore at Baltimore, a little fishing village near Cork. They chose their time well. They attacked at 2 o’clock in the morning and burst into the houses capturing 22 men 33 women and 54 children to be taken to the slave market. They captured the whole village. One man was away that night and came home to find his wife and seven children taken. None were ever seen again. By 1636 there was panic along the south coast of England. Shipowners from Exter, Dartmouth, Plymouth, Barnstaple, Southampton, Poole, Weymouth and Lyme Regis got together to complain to the King that in the previous few years they had lost 87 vessels to piracy and in addition 1160 English seamen were kept in miserable captivity. On arrival in Algiers, the treament of the captives was remarkably similar to that meted out to African slaves in Jamaica. They were exhibited for sales and prodded and examined by prospective buyers. The men could expect a very hard life either as galley slaves or heavy labour ashore. It has been calculated that in the 200 years during which the Barbary Corsairs raided the coasts of Europe and its marine traffic, some 1,250,000 people were captured and sold as slaves. This is about one tenth of the number of Africans who were transported to the West Indies and the Americas during the notorious slave trade which Wilberforce and Buxton strove to abolish. Nevertheless it was a significant number. What is remarkable is that while Britain and other European nationed railed against the Barbary Corsairs taking slaves from Europe, at the same time these same countries were estabilshing slavery in the New World. It is very difficult to understand from a viewpoint of today, how people could live with these contrasting practices. But it can be seen that the concept of slavery was not confined to the trade across the Atlantic. Slavery was endemic and practised by many nations. The Arab nations had practised slavery for many years, taking slaves from Africa into the Ottoman Empire. This entry was posted in History on July 26, 2014 by tfb_admin. A mini hullaballoo arose earlier this year when the Independent newspaper revealed that the UK Government had paid some £20M to pay off the slave owners in 1833. It was a sort of ransom money, and the usual suspects were expressing their shock and horror at such largess. “Britain’s Colonial Shame” screamed the headlines. It was a typical Main Stream Media “holier than thou” comment with little interest or appreciation for the problems of 180 years ago. We only needed calls for the likes of David Cameron to apologise to someone and our self flagellation would be complete. Politics has always been the art of the possible. But what if Buxton had dug his heels in and insisted in no compensation; there would certainly have been an impasse. Another slave revolt would have been likely with lives lost and property destroyed. 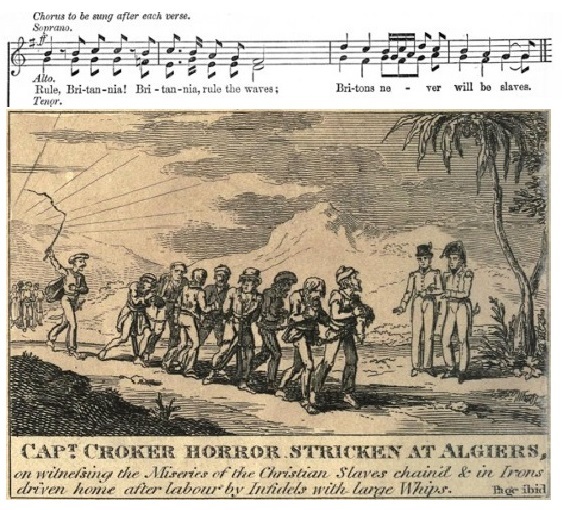 Of course the USA had seen their own slave crisis looming for many years (“A firebell ringing in the night” said Thomas Jefferson), but the country either lacked the will or found it impossible to resolve it. Eventually this was resolved by a bloody civil war at great cost. . . .Fondly do we hope—fervently do we pray—that this mighty scourge of war may speedily pass away. Yet, if God wills that it continue, until all the wealth piled by the bond-men’s two hundred and fifty years of unrequited toil shall be sunk, and until every drop of blood drawn with the lash, shall be paid by another drawn by the sword, as was said three thousand years ago, so still it must be said “the judgments of the Lord, are true and righteous altogether.” . . . The cost to the USA of that civil war was estimated at the time as $8,000,000,000 (8 Billion dollars). Three quarters of this was spent by the Union, the other $2 Billion by the Confederacy. Even at the devalued dollar exchange rate (10:1), 8 billion dollars is still equivalent to £800,000,000 in 1865 moneys. At a cost of £20M, it seems that Buxton got quite a good deal, especially as many of the beneficaries invested their ill gotten gains in the burgeoning railways. This entry was posted in Current Events, History on June 18, 2013 by tfb_admin. 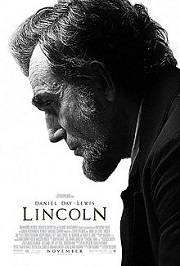 Spielberg’s acclaimed film about Abraham Lincoln was released in the UK on 25th January. It focuses on Lincoln’s efforts towards the end of the Civil War to abolish slavery in the USA. The issue of slavery had split the USA asunder with 11 Southern slave states seceding to form the Confederacy. The Civil War raged from 1861, and only ended on 9th April 1865. But six days later, on 15th April, Lincoln was dead, from an assassin’s bullet. The USA’s struggles to abolish slavery, achieved at great cost in blood and treasure puts into perspective Thomas Fowell Buxton’s remarkable achievement, in getting slavery abolished through the Parliamentary process. This entry was posted in History on June 1, 2013 by tfb_admin. The civil war in the USA caused a ‘cotton famine’ in Lancashire and mill workers suffered great hardship. Nevertheless, representatives of the Lancashire Cotton Industry resolved to support the North in its fight against slavery and sent a message to Abraham Lincoln. See Sublime Heroism for a full account of this inspiring story. 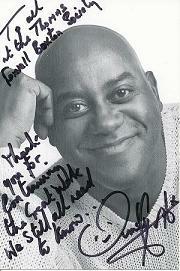 Ainsley Harriott trained at the Westminster College of Catering. For our cricketing enthusiasts’ information, Ainsley was Head Chef at Lord’s Cricket Ground’s Long Room. On the London scene he has been associated with the Dorchester, Brown’s, the Hilton, the Westbury, Café Pelican and Quaglino’s. In 2000 he had his own television show in the USA. This ran for 100 episodes. However, many of us have been fans of the long-running BBC television show Ready Steady Cook which he presented. One of the regular chefs featuring successfully on this programme with Ainsley was Lesley Waters, who is resident here in Dorset running her own cookery school near Bridport. Apparently Lesley is a fan of Thomas Hardy’s novels! When looking for a Society patron, our Secretary approached Ainsley Harriott, as she recalled his 2008 appearance on the TV programme, Who do you think you are? Ainsley had set out on the genealogy trail knowing that he had slave ancestors. What this programme revealed was that he also had a white sugar baron ancestor who had recognised the child and handed on the family name of Harriott. We are grateful for Ainsley letting us use his name as our patron and for his good will message to the Society: “Thank you for bringing important history to people’s attention…we still all need to know”. This entry was posted in History on May 28, 2013 by tfb_admin. On Thursday, my wife and I, were invited to attend the ‘Mayor making Ceremony’ at the Pavilion Theatre Weymouth, when Councillor Ray Banham was elected as this year’s Mayor of Weymouth. 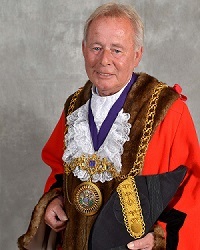 The Thomas Fowell buxton society has a special interest because all the Mayors since the Society was inaugurated in 2010 have consented to be our Honorary President. As deputy Mayor, Ray had attended our AGM in February and kindly took the Chair for the afternoon. In Mayor Banham’s inaugural speech, he mentioned that the office of Mayor was instituted in 1571 by Queen Elizabeth. As I was not taking notes, I wanted to make sure that I had heard correctly, and therefore decided to do some googling about Weymouth’s history. Sure enough, google found a book by an Nineteenth Century Antiquarian “The History and antiquities of the Borough and Town of Weymouth” by George Alfred Ellis 1829, and I was able to scan through the pages and locate the event 1st June 1571. The boroughs of Weymouth and Melcombe Regis facing each other across the harbour had been so long at loggerheads, complaining to Parliament that the Queen decided to sort it all out by combining them into a single unit. Bernard Maior, was the first Mayor and Cllr Ray Banham is his 430th successor! So Buxton and Gordon, Wallace and Ure were returned as members for Weymouth. This was before the parliamentary reform act when Weymouth returned 4 members to Parliament. This entry was posted in Current Events, History, Life and works on May 26, 2013 by tfb_admin. Wulfstan campaigned vigorously against the slave trade based in the city of Bristol. At that time, people who could not pay their debts were sold into slavery in Ireland. (A few hundred years earlier, St Patrick, a Briton, had been sold as a slave in Ireland, but that’s another story). As a result of Wulfstan’s impassioned sermons against the trade, many slaves were released. During his time as Bishop, Wulfstan cared for the poor, and struggled to alleviate the harsh decrees of the Normans upon the vanquished English. Wulfstan was a great church builder and laid the foundations for Worcester Cathedral. 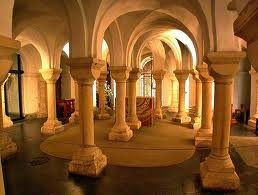 The crypt that he built is still in use, and it is worth a visit to admire the stark Norman architecture. Wulfstan died in 1095 while engaged in the daily ritual of washing the feet of a dozen poor men. He was canonized in 1203 by Pope Innocent III. King John has a bad reputation but must have had some good points as he was a great supporter of Worcester Cathedral and had a devotion to St Wulfstan. He asked to be buried at Worcester, and to this day still lies at the foot of the high altar..
St Wulfstan’s feast day is January 19. This entry was posted in History on May 2, 2013 by tfb_admin.